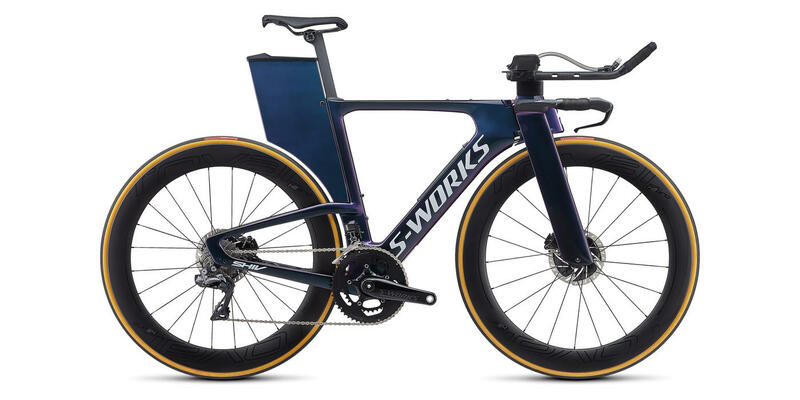 It's been a long time waiting, but Specialized has this week, ahead of the Kona Ironman, launched a completely redesigned S-Works Shiv. It gets a thoroughly reworked frame, integrated nutrition storage and it's disc brakes only. 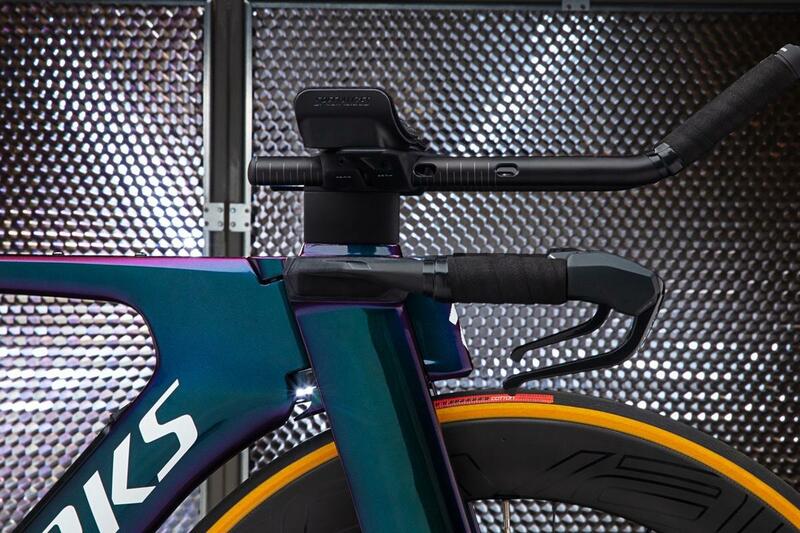 The result of extensive CFD and wind tunnel testing has produced a bike that is a claimed one minute faster around the Kona Ironman course than the previous generation Shiv. That's a heck of a difference at this level. "We developed the fastest bike Kona's ever seen, but we didn't spend half a decade focused on just the traditional idea of fast. We wanted to make the most complete triathlon bike ever made. One with a tremendous amount of storage, the perfect fit, easy travel features, and of course, a destiny of setting Kona course records. This is the new shape of speed. 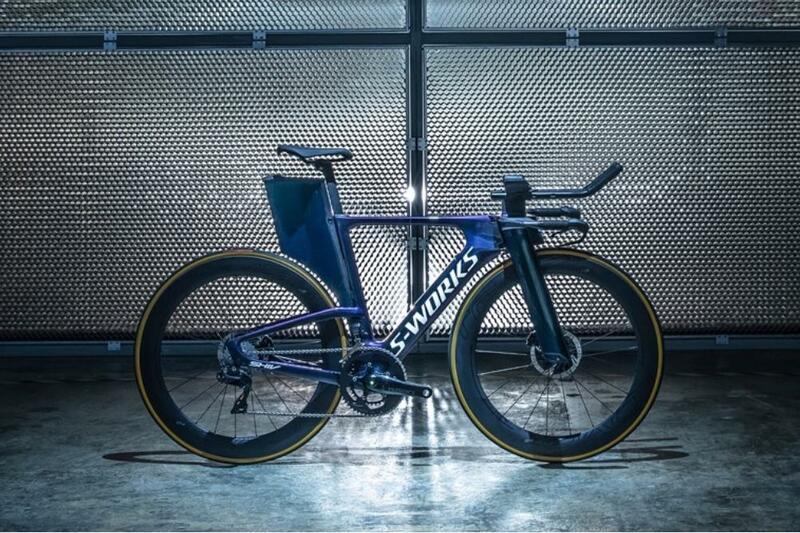 This is the S-Works Shiv Disc." The story of Specialized's triathlon and time trial bikes began with the Transition launched in 2008 before the first Shiv was unveiled just a couple of years later in 2011. It had a few revisions and changes through its time but Specialized felt it still provided impressive aerodynamic performance that it took a whopping seven years to launch this brand new 2018 Shiv Disc. That's an eternity in the bike world but it seems like the wait was worth it. 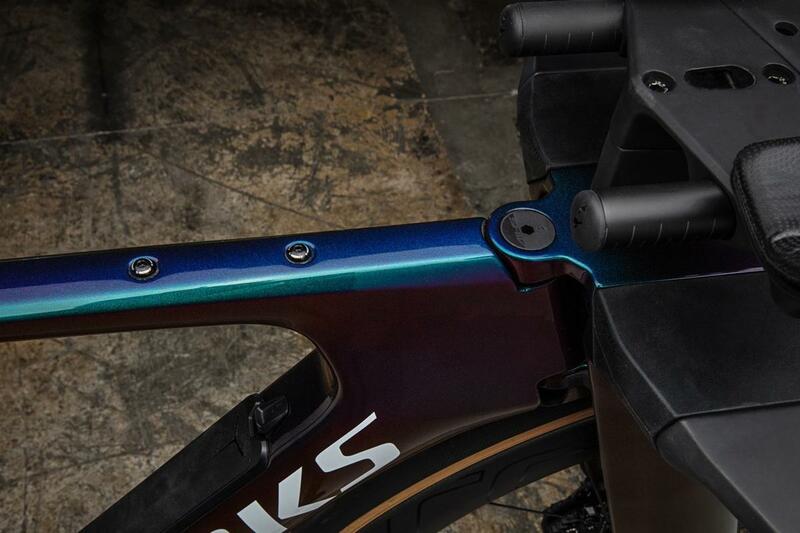 Integration is big on the new Shiv. 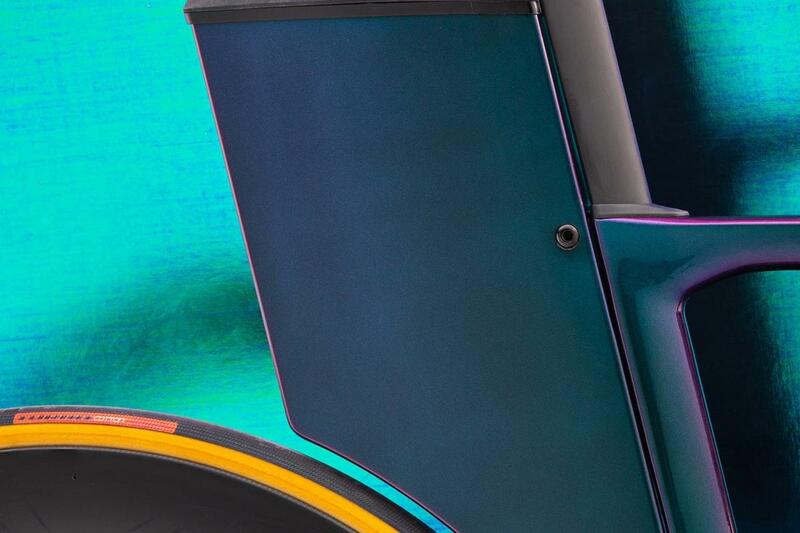 It features two 'Fuelcells', the first located in the down tube with space for a dozen gels and the second is an aerofoil shaped water storage tank behind the seatpost. A hose is routed through the top tube into the handlebars keeping airflow disruption to a minimum. There are additional storage options with the top tube and seat tube bosses. Minimising airflow disruption is key to the new fork which is much like a mountain bike triple crown fork, with the fork blades extending all the way from the dropouts to the handlebar, running parallel to the stubby head tube. And poking out between the gap in the fork blades is a nose cone to improve aerodynamics. The genesis for this idea is to increase stability in crosswinds, a factor that will be greatly appreciated towards the end of the bike leg when tiredness and fatigue can kick in. The all-new integrated stem and handlebar design can be easily folded away for travelling, and the bike is provided with its very own custom designed travel case. Fine-tuning the fit is a key consideration. 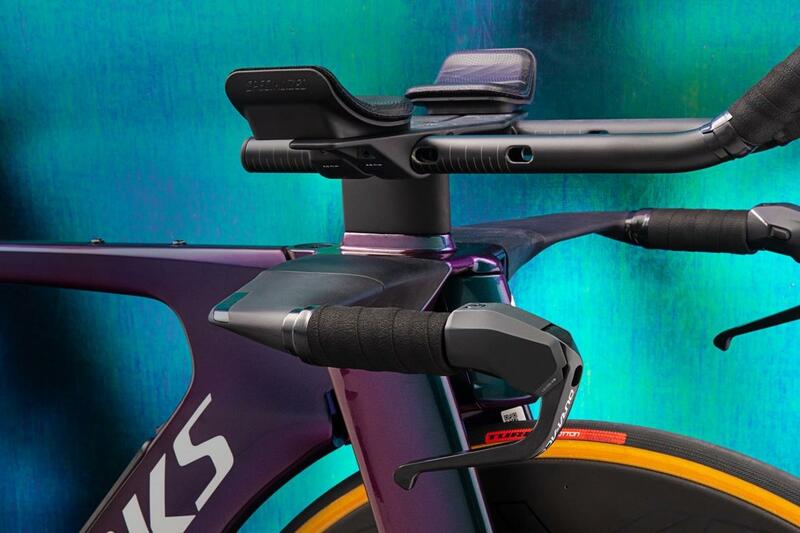 The base bar and aerobar extensions can be adjusted, with 115mm of height adjustment and 22.5mm of reach adjustment and three different base bar options. You can also swap out the extensions and use any extension you like, handy if you have a favourite setup not catered for by the stock options. 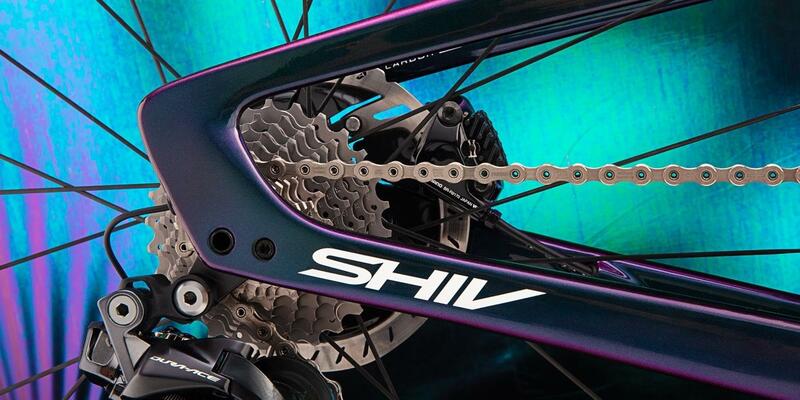 Just like the Venge, the new Shiv is designed entirely around disc brakes with flat mount brakes and 12mm thru-axles. The new fork is designed to help smooth airflow around the front brake. This single model release is Di2 only as well, with all the cables routed inside the handlebars and frame. 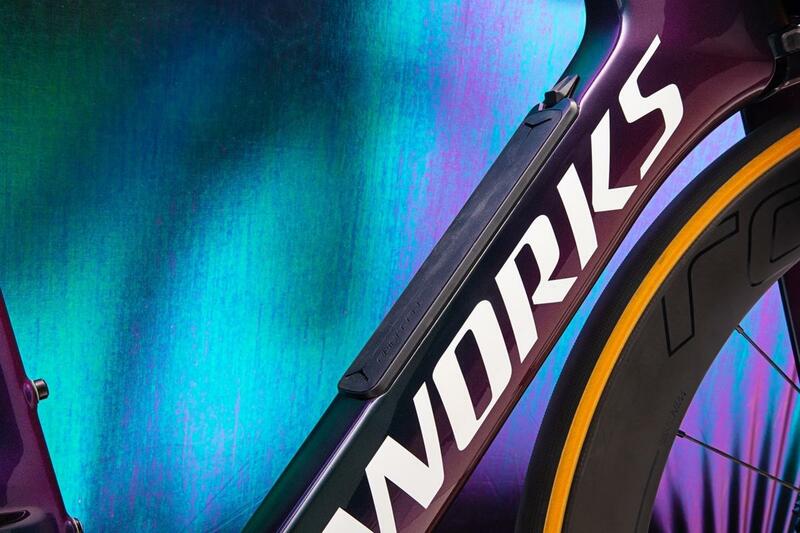 The S-Works Shiv is limited to 500 bikes to begin with and it'll cost £10,999, with a top-end equipment package consisting of a Shimano Dura-Ace Di2 groupset and Roval CLX 64 Disc wheels. Do drop us a line if you'd like to discuss reserving one - you've got until October 31st to do that so be quick if you want to be one of the first people to get your hands on this stunning new bike.